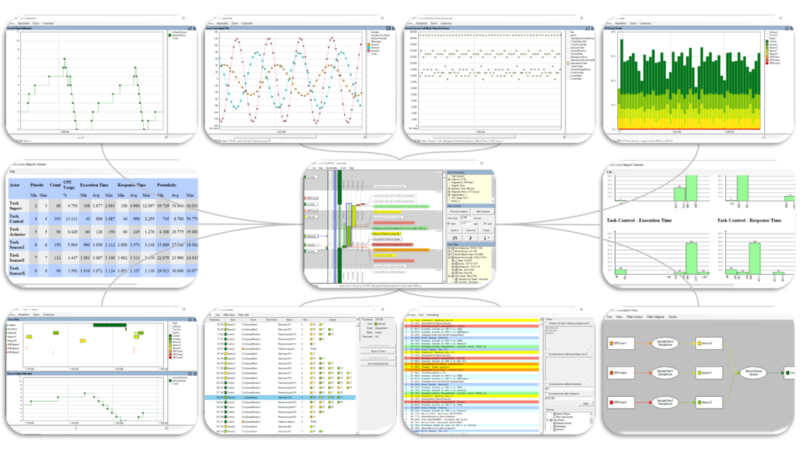 Percepio Tracealyzer is a stand-alone application for visualizing RTOS traces from PIC32 devices, with a plugin for Microchip MPLAB X IDE. This allows you to save a trace snapshot from our trace recorder library via the MPLAB debugger and open them in Tracealyzer. The plugin supports the Tracealyzer versions for FreeRTOS, SafeRTOS and Micrium. Download mplab-plugin.zip and extract the plugin file, “org-percepio-tracealyzerexportplugin.nbm”. In MPLAB X IDE, select Tools -> Plugins. Select “Downloaded” tab, and there click “Add Plugins…”. In the file browser, find and select “org-percepio-tracealyzerexportplugin.nbm”. Before starting your debug session in MPLAB X IDE, first start the plugin (“Tracealyzer Export Plugin”). This is found in the “Tools” menu, under “Embedded”. This will show a screen like the right-hand screenshot above. When in a debug session and the system is halted, i.e., on a breakpoint or during single-step debugging, the “Save Trace” button is enabled. This saves the trace data to the specified file, that you then open in Tracealyzer.